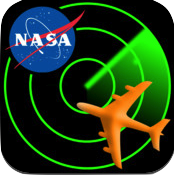 NASA has released a new educational game with an air traffic control theme for Apple iPhone and iPad devices. Sector 33 is designed to challenge students in middle school and above to use basic math and problem-solving skills. This is a great companion app for the popular Distance-Rate-Time: Smart Skies lesson, available on the NES Virtual Campus. An Android version of the app is in development and will be made available in the Android Marketplace in the coming months. Visit Sector 33 for more information or to download the application free of charge. This last week of January, as we do every year, the NASA family honors those who have lost their lives carrying out our missions and pays tribute to their lives and memories. In the face of our greatest accomplishments, it’s easy to lose sight of the fact that each time men and women board a spacecraft, their actions carry great risk along with the opportunity for great discoveries and the chance to push the envelope of our human achievement. So on this Day of Remembrance, we honor the Apollo 1, Challenger and Columbia crews, as well as other members of the NASA family who died supporting NASA’s mission of exploration. We thank them and their families for their extraordinary sacrifices in the service of our nation. As a family, we truly pull together, and our recovery from each of these tragedies has been heartbreaking and inspiring. I thank all of you for the inspiration you provide to each other and me as we open the next great chapter of exploration. Today, I lay wreaths at Arlington National Cemetery for these fallen heroes, and many of you, as in past years, join me in reflection on their lives and the greater purpose we all serve to reach new heights through our actions. Across the country, all flags at NASA Headquarters and the NASA centers will be flown at half-mast in memory of our colleagues lost in the cause of exploration. 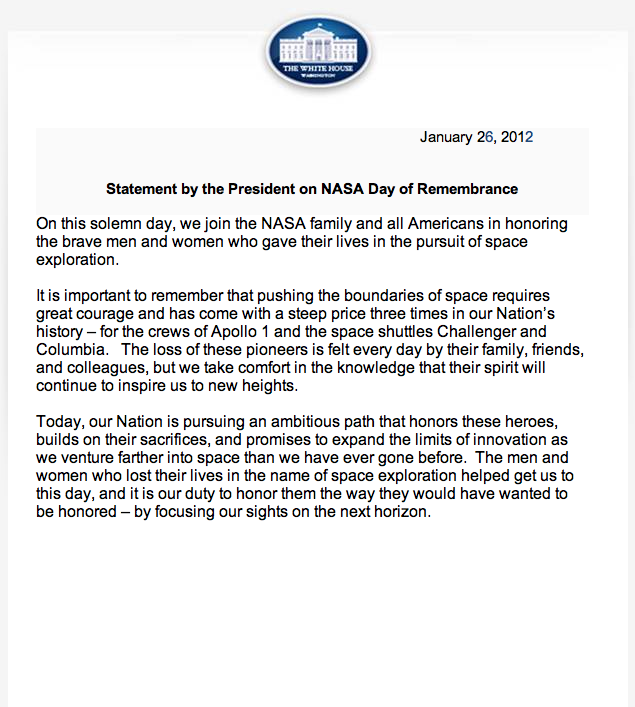 In memory of our colleagues, I ask all of you in the NASA family once again to always make your opinions known and be unafraid to speak up to those in authority, so that SAFETY CAN ALWAYS BE OUR GUIDING PRINCIPLE, and the sacrifices of our friends and colleagues will not be in vain. We cherish the memories of our lost colleagues and friends and work hard every day to preserve and build on their legacies. Their lives and work are inspiring each of us every day to carry out the missions of tomorrow and increase our capabilities to do more, learn more, and discover more. There is no greater tribute we can pay! Please join me in working to fulfill the dreams of these men and women for the future. May God’s richest blessings be on the memory of our fallen comrades and on all of us on this solemn day of remembrance! Find out from Environmental and Thermal Operating System, or ETHOS, operator Tess Caswell about the role of chemistry in making sure the astronauts aboard the space station have oxygen to breathe, water to drink, and a comfortable temperature in which to live and work. This NASA Now program is available on the NES Virtual Campus beginning Jan 25, 2012. As part of a series of electronic professional development experiences, the NASA Explorer Schools project and the National Science Teachers Association are hosting a 90-minute professional development web seminar for educators on Jan. 23, 2012, at 6:30 p.m. EDT. 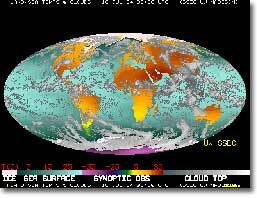 Learn to use data from NASA’s Geostationary Operational Environmental Satellites, or GOES, and Polar Operational Environmental Satellites, or POES, in your meteorology lessons. This web seminar features “Monitoring the Global Environment,” one of eight modules within the Satellite Meteorology course. You will locate and download satellite data, then use these data to create graphs. A test version of NASA’s Orion spacecraft soon will make a cross-country journey, giving residents in three states the chance to see a full-scale test version of the vehicle that will take humans into deep space. The crew module will make stops during a trip from the White Sands Missile Range in New Mexico to the Kennedy Space Center in Florida. The planned stops include Jan. 24-25 at Science Museum Oklahoma in Oklahoma City; Jan. 27-29 at Victory Park and the American Airlines Center in Dallas; and, Feb. 1-2 at the U.S. Space and Rocket Center in Huntsville, Ala. Engineers, program officials, astronauts and NASA spokespeople will be available to speak with the media and the public. The full-scale test vehicle was used by ground crews in advance of the launch abort system flight test that took place in New Mexico in 2010. 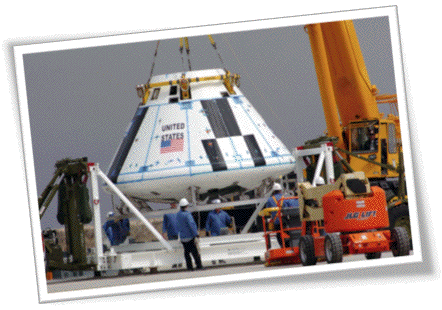 Orion will serve as the vehicle that takes astronauts beyond low-Earth orbit, and the first orbital flight test is scheduled for 2014. What Happened to all the Snow? Winter seems to have been on hold this year in some parts of the United States. Snowfall has been scarce in places that were overwhelmed with the white stuff at the same time last year. In this ScienceCast, JPL climatologist Bill Patzert explains what’s going on. Author John EntwistlePosted on January 20, 2012 Categories UncategorizedTags NES Lesson-Earth Climate Course, NES Lesson-Satellite Meteorology, Science Update1 Comment on What Happened to all the Snow? Melody Shaw gave 700 fourth- and fifth-grade students an opportunity to put themselves in the shoes of NASA engineers. Shaw is a science lab teacher at Grenada Upper Elementary School in Grenada, Miss. After learning about rovers and NASA’s newest robotic rover, Curiosity, Shaw’s students had a chance to build their own. Using resources from NASA’s On the Moon Educator Guide, students completed the challenge “Roving on the Moon,” where they designed, built and tested their very own lunar rovers. Shaw noted that this activity covered several areas of the state-required science and mathematics curriculum and that the testing and redesign steps required her students to think like engineers. One exciting part of the experience was the community support and family involvement during the lesson. A Grenada business donated two large rolls of corrugated cardboard and straws, which made it possible for all 700 students to design and make their own rovers. After hearing about the activity, some parents requested to help out by cutting the cardboard into squares for each student. Many students said building the project was their favorite activity of the year, and it turned out to be a successful, exciting event for everyone involved. The NES Virtual Student Symposium provides the opportunity for up to two teams of two students to share the results of an investigation or NASA design challenge with NASA scientists, engineers, technicians and educators. Participation in the Virtual Student Symposium is a prerequisite for getting invited to the all-expenses-paid NES National Student Symposium to be held at a NASA field center on May 2-5, 2012. The investigation or design challenge may be conducted as a classroom activity or done by students on their own, based on their own interests. The investigation or design challenge must relate to a NASA Explorer Schools teaching module or NASA Now episode on the NASA Explorer Schools Virtual Campus. For more information about this exciting student opportunity, log into the NES Virtual Campus and visit the Student Recognition page.